ZEGG Forum Helps People Communicate! Kalama (left) moderates a Forum patterned after The ZEGG community. 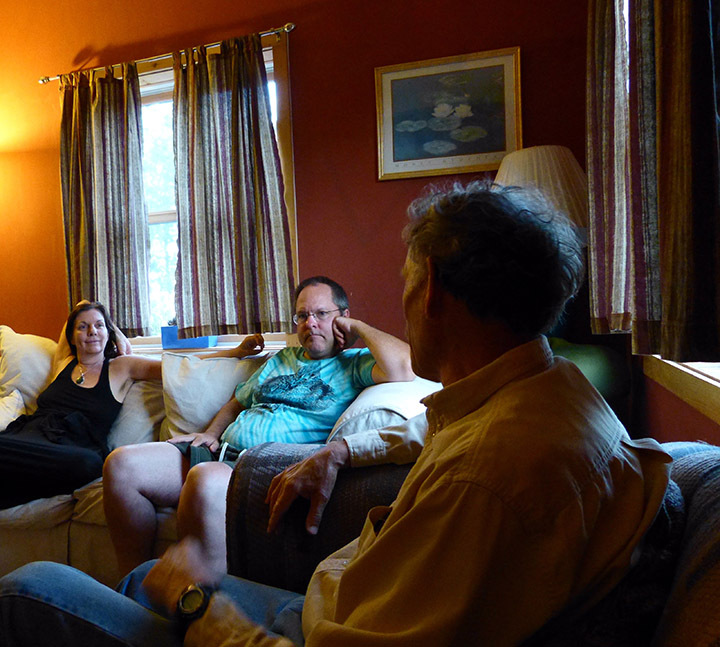 A process of communication developed by the ZEGG intentional Community in Germany migrated to the United States and has recently been introduced to EcoVillage at Ithaca (EVI). Using trained facilitators, ‘The Forum’ as it is known, helps group members who feel stuck in their meetings to discover underlying currents, emotions, and tensions and to make them more transparent. This releases frustrations and misunderstandings resulting in improved relations. Not only does this lead to better meetings, it also fosters reinvigorated, deeper and compassionate relationships within the whole community, as people begin to understand why others act the way they do. community after 1991. It is used there on a regular basis separate from their business meetings and has proved essential for the healthy continuation of their group. The Forum is the glue that sustains both ZEGG and new culture communities. Within the past ten years The Forum has been adapted by The Network for New Culture in the U.S. New Culture trains facilitators to carry on the work in individual communities. 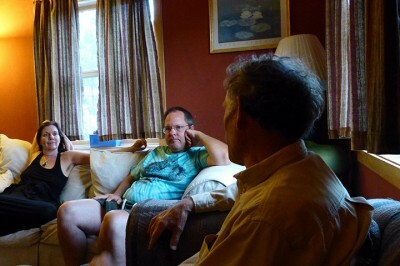 So far there have been three sessions at EVI and more than 30 villagers have experienced a deepening of relationships. Several villagers have expressed a keen interest in becoming trainers themselves in order to continue this process into the future.